Will Heroic still resolve if the spell used to trigger it lost one of its targets? Nice budget deck but a few cards seem weak in an aggro deck even on budget standards. Perhaps they are not but just in case I figured I could suggest some other budget alternatives. Hope these help. Lightning Mauler doesn't fit well because it is a nonbo with both Fanatic of Xenagos and Flinthoof Boar. Lightning Mauler is something that needs a follow up and the two cards which would be most impactful with haste already have haste. 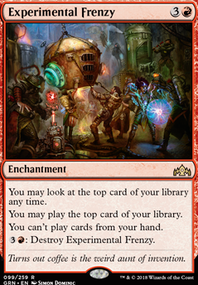 This results in soulbinding with a one drop (one of which is Experiment One which is better when it evolves over multiple turns and not just charging in as a 1/1 or 2/2). It could be good but seems awkward in the list. Magma Jet seems too mana intensive for such little damage. Scry 2 doesn't seem to make up for it's lack of impact. like others have said, you can't choose to tap a creature when you declare it as an attacker. During that step it either does or does not tap. 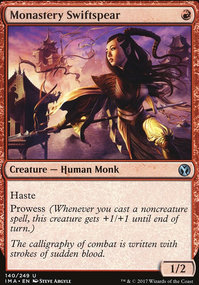 However, an untapped attacking creature (such as one with vigilance) could still be tapped after declaring it as an attacker by way of a cost or ability of another card. 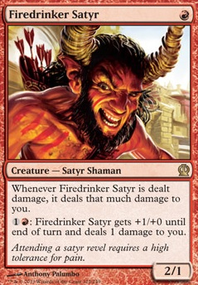 Cards with convoke (ie Stoke the Flames) or a card like Thassa's Ire come to mind. Julius_Mufasa on CHAINED TO THE ROCKS! 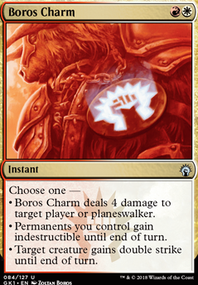 I'm going to try replacing 3x Hordeling Outburst and 3x Stoke the Flames with 2x Simian Spirit Guide, 2x Lightning Helix, 1x Chandra, Torch of Defiance, and 1x Gideon, Ally of Zendikar. 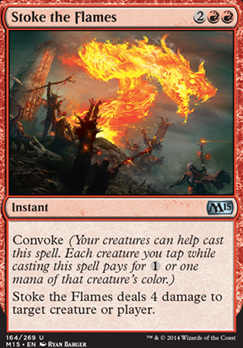 You should definitely replace Stoke the Flames with Lightning Bolt. Krenko is to slow because he can actually do something on T5 if he doesnt get haste. Have you rhought about Metallic Mimic? Recover819 on What are those "land" things you're talking about? rjphilla I could see that taking the place of Sphinx's Revelation as a one or two-of. Then I could do weird things like play Stoke the Flames.